An empty house is like an empty canvas. There are hundreds of thousands of things you can do to decorate your interiors. But imagine this: once you’ve pictured your ideal home, bought the furniture and lived in for about a year and get bored. And then what? Would you want to go through the hassle of reselling your old furniture and buying new furniture all over again? 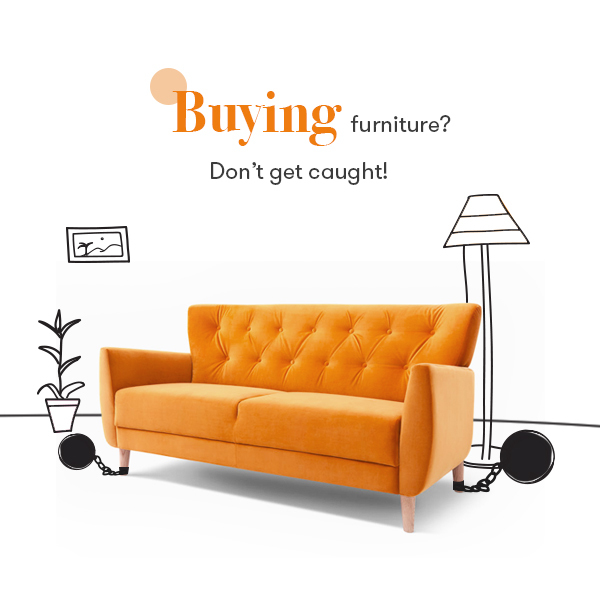 Here is a smart solution: Rent Furniture from Furlenco! Now you would ask, why rent furniture? Who rents furniture? And most of all what are the advantages of renting vs buying furniture? Don’t worry, we have got it all covered! Here is why you should rent furniture. When you rent furniture from Furlenco, it doesn’t take a lot to convert those empty, lifeless rooms to spaces that echo your personality. Imagine all the possibilities: Love those game nights with friends? Then bring home the Entertainment Zone. Want to go minimal and have just one thing that will suit all your needs? The Pod is your answer. Hosting a house party and some folks are bringing their kids along? The Bounce will do just fine. Fallen in love and he/she is coming home for the first time? Furlenco can be your wing-man too, you know! Why buy things that will only stop you from growing? You can do a whole lot more with your hard-earned money than spend it on buying furniture. When you rent furniture, you can spend on; that dream vacation, your favourite band’s last concert abroad, that backpacking adventure across Europe. Whatever makes your heart skip a beat and energizes you for life. Remember #YOLO? Well, live your life to the fullest. And never ever let furniture come in the way of those many experiences you want to have. Think of us as your furniture concierge. Why? Well, for starters, when you rent furniture from us and your furniture has gotten dirty, we will deep-clean it for you for free. If you’re bored with the look at home and want something new, we will Swap your current Furlenco furniture for a new package of your choice, for free. If life is taking you places, and you have to relocate within the city or to a new one, all you have to do is pack your bags and leave. We will take care of the furniture, provided we operate in the city you’re moving to. And yes, for free! By the way, we’re currently in Bangalore, Mumbai, Pune, Hyderabad, Chennai and Delhi-NCR.